And now for something completely different: the new, highly anticipated Wachowski brothers movie has arrived hot from the press. NINJA ASSASSIN, directed by James “V FOR VENDETTA” McTeigue continues the zigzag course of the MATRIX inventors and surprises us once more. Only this time not positively. It would be a pure waste of time to describe the thin Plot in more than three sentences. For the sake of it thus sentence 1: a Ninja clan kidnaps children and turns them into Super-Ninjas. Sentence 2: One of the students develops his own opinion, turns against the “foster father” and everything escalates in an international guerilla war between Ninjas and police authorities. Sentence 3: Naturally, there’s also a love story. NINJA ASSASSIN certainly wins the accolade for the worst script in recent years. I can’t imagine how such a lame story, which in addition is dreadfully written and unbelievably formulaic, featuring horrible dialogue and tremendous loopholes was ever greenlit. Any dialogue from any of the DIE HARD sequels seems like a work of Keats in comparison. NINJA ASSASSIN crosses the border to ridiculous terrain more than once and there are dozens of plain stupid scenes that leave us wondering what drugs they were on when shooting the movie. In addition the whole cast performs far below average and are a shame for anyone considering himself a serious actor. 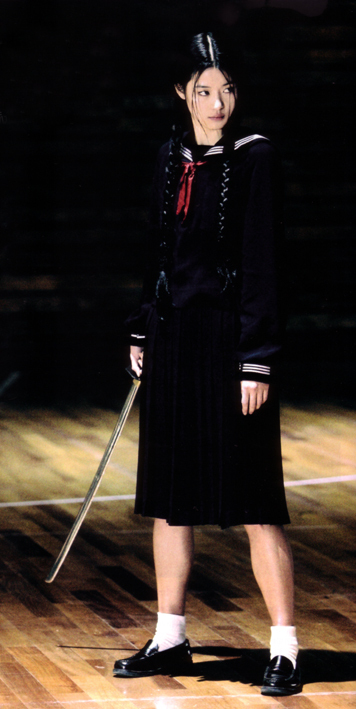 Mostly NINJA ASSASSIN is not much better than a school play. The next problem is the aesthetics: the visual style of NINJA ASSASSIN is unbearable. The lighting must have been done by a blind person, whereas color and contrast are on Telenovela level (even the production stills look better than the film itself) and the framing and camerawork are extremely random, if not clumsy. It appears that McTeigue is simply the wrong man sitting on the director’s chair. V FOR VENDETTA already displayed his talent for wasting opportunities rather than seizing the possibilities the graphic novel offered. 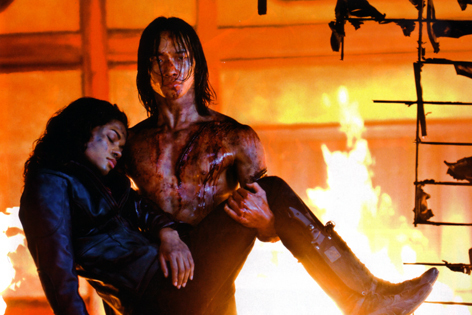 NINJA ASSASSIN now is no exception, but by comparison however it’s a genuine disaster. 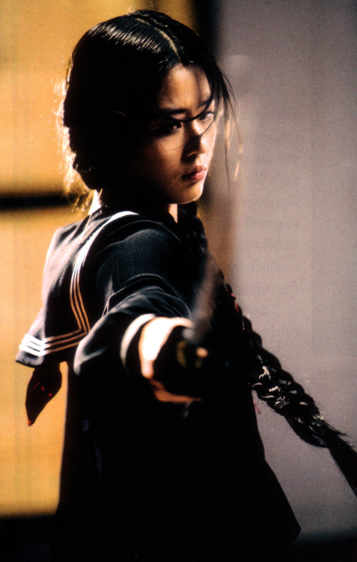 The editing more than once recalls “fond” memories of B-Horror movies and C-Ninja movies of the 70’s and 80’s, which often most inelegantly were cutting back and forth between static dialogues or badly choreographed action sequences. The hiring of Sho Kosugi, who’s mumbling his way through the film in a Brando-like tone and manner, should have been a warning sign. NINJA ASSASSIN was a great chance to pay homage to the Ninja movie subgenre, but McTeigue is not able to abstract, adapt and revitalize the genre in any appropriate way – or at all, that is. And no: NINJA ASSASSIN clearly is not that lousy on purpose, trying to be a smart B-movie satire or reminiscence. So what’s good about NINJA ASSASSIN? If you subtract all the endless flashbacks and Rains training sequences (which make for a substantial part of the film) you can enjoy a splatterfest rarely ever seen in mainstream cinema. 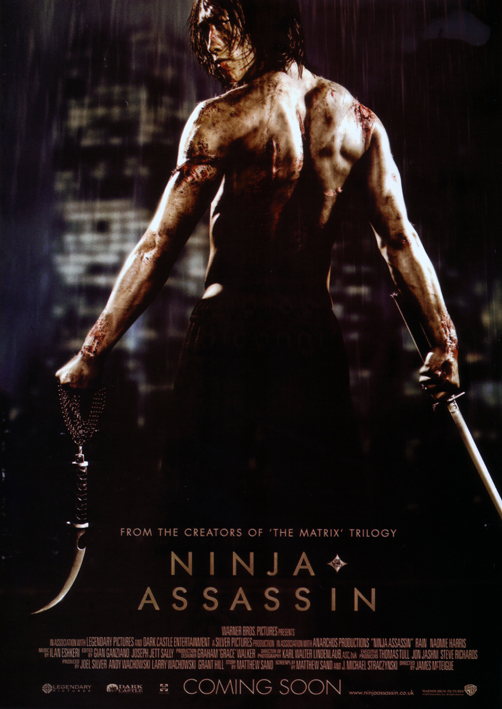 Once again the major studios get away with everything: NINJA ASSASSIN dwells endlessly in scenes of graphic violence. Separated limbs and divided bodies are displayed throughout the entire film and blood spurts without any sense out of everything the camera captures. NINJA ASSASSIN without a doubt contains some of the most brutal killing scenes of modern mainstream cinema, in case this alone is of any interest. However, ICHI THE KILLER was there first and did what it did earlier, better and with far less budget. And in a way it feels like FUDOH, another Miike film, was the blueprint for some of the choreographed violence now shown in NINJA ASSASSIN. NINJA ASSASSIN will certainly not disappoint all those who expect a maximum of blood and gore. Thank god that nowadays we don’t have to sneak into some dodgy video rental store anymore to get this kind of fare, but instead are being served in the glossy multiplex cinema downtown. The marketing people should have really come up with the idea to produce NINJA ASSASSIN barf bags and hand it out to all those couples who ended up watching the film accidentally because of oh-so-cute Rain. Some will certainly need it. Hurray, isn’t that fun seeing nameless cannon fodder being turned into minced meat by the minute. 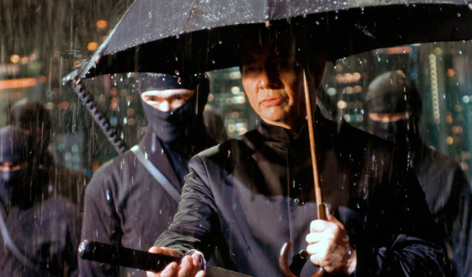 The bottom line: NINJA ASSASSIN is the worthy successor of AMERICAN NINJA and Rain is the Asian Michael Dudikoff. I guess congratulations are in order. In some twisted sense the film may have a certain charm (at least for those who indeed grew up with junk like AMERICAN NINJA), but the result is hardly what the Wachowskis had in mind and the audience is expecting. Let’s quickly summarize NINJA ASSASSIN: sorry effort.